In ITIL, change management is one of the governance process that keeps control on the changes going into an organization – be it strategic, tactical or operational. It is set up to ensure that the changes are beneficial to the organization, and risks are assessed, and mitigated. Change management comes under service transition publication of ITIL – which implies that any changes done towards IT services being offered to customers, have to pass through this gate. Change management, as we know it, ensures all the relevant parties take a good look at the change on hand (through CAB), and once all the criteria has been met (policy guidelines), the change is approved and handed over to release and deployment management for implementation and post implementation review. Can Change Management be a Service? If a customer comes to me and asks for change management to be delivered as a service, how would I do it? It is not a service in the truest sense. Change management is a process to govern a service through changing environments, deliver beneficial changes and minimize disruption. ITIL was never meant to be taken word for word, and one of its principles is that it does not prescribe how things should look like in an organization. It should be used as a guide. So let’s extrapolate the concept of service to change management and see what it means, and what could possibly come out of it. I can conceive change management being implemented as a service in two distinct thought processes. 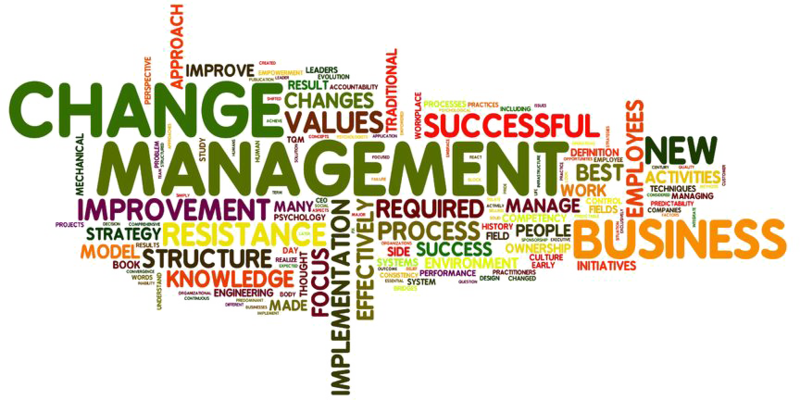 The change management process in ITIL provides governance. Its objective is to ensure that the right approvers are signing off on the changes, and risks are identified and mitigated. As a service, you can bring in a change management process and specialists to run it. As a part of your service delivery, you would be assessing changes, ensuring all the right signatories are present in CAB and the technical and business teams are identifying risks as they see fit, and are proposing plans to mitigate it. The service objective is to take the change to a stage where it is authorized for implementation. The release and deployment management process takes over from this point forward. Will this work? I have my doubts considering governance being a service can be a control mechanism that may not have the roots properly planted in the system, and can easily be ebbed out as smoothly as it was brought in as a service. Seriously, I don’t think it might work. But worth a try. Thinking of change management as a service is pushing the limits. Why not have a service that provides governance? Unless we implement it, there is no way of telling whether it would work or fail. The second option is to look at an end-to-end change management, and not just the governance piece. In this option, we consider all the technical teams who actually propose, implement and are consulted on changing the IT environment. We are looking at the entire support model as change management – that includes release and deployment management process as well. This in my opinion can work. To the customer, we are not only providing the governance, but the complete delivery of the change. We are not in the picture just to control and oversee things, but to get our hands dirty, with the planning, assessing, implementing and verifying activities. This will primarily work because the customer organization does not see the change management as a governance process, but rather a value that is getting delivered, through the changes performed in the IT environment. In fact, many of the current IT outsourcing contracts have this setup, and they may not be aware that they are providing change management as a service. They may think that they are providing IT support, which includes incident management process, request fulfillment process, problem management process and other processes. In the midst, they might say that all changes will go through the change management process, which is seen as a governance process rather than a service that enables beneficial changes to the customer IT organization. If you are the person accountable or responsible for IT sales, perhaps you can start rethinking on how you can repackage IT support with change management as a service. You can probably pump your figures, or showcase to the customer the set of services that comes at a quoted price. This is a new concept, so let’s discuss. There could be more than the two ways that I put forth that brings in change management as a service. Maybe you have already provided this service to your customer. Let us know your thoughts. Bring your questions to the table.